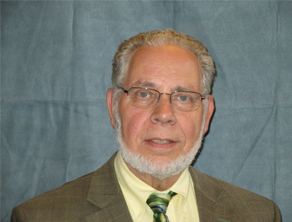 Pastor Mark Thompson is an ordained Elder of The United Methodist Church, West Michigan Conference. His passion is for social justice that brings about equity for all of creation. This is reflected in his sermons, bible studies, and leadership. 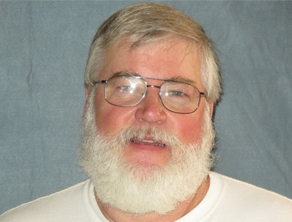 His warm personality along with his whit adds to the hospitality found at Central. His is the father of 3 adult children and their significant others and has one grandson. A retired pastor, Bill Amundsen has led significant churches with great distinction. 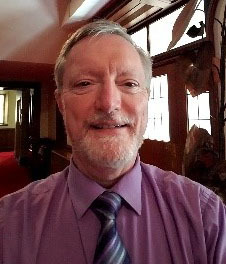 He is also currently a representative of MICAP (Michigan Council on Alcohol Problems) and the leader of two significant adult study groups, most notably Vespers, a progressive Christian discussion group that meets on Sunday nights at 5:30. Central is blessed to have Bill and his wife Cathy’s ministry here at Central. Caryn is an important member of the greater Lansing music community. 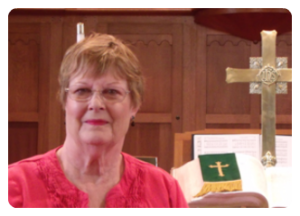 She has been the organist in area churches for many years. She is a highly skilled musician, organist and pianist, Caryn is also a true minister of music, who brings warmth, compassion, and deep faith to her artistry. 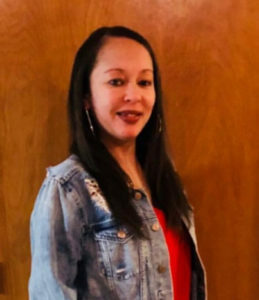 Delicia comes to us from Lansing Community College where she was an Administrative Assistant in Community Education. She will be in the Church Office Monday through Friday from 9am – 2pm. Joi Tennant and her husband Bill are long time members of Central UMC. They bring great passion and commitment to faith development for all ages in all kinds of ways: through teaching the arts, music, and service. Joi is a gifted educator and a deeply faithful prayer warrior. 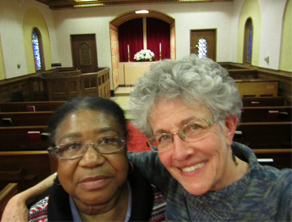 Pictured here with Nona Bartley (left) in Mary Sabina Chapel, together they pray weekly for our prayer list and for our church. Joi leads a great volunteer staff, who offers an outstanding Christian education for children, youth, and adults. Renee has extensive experience in website development and design and marketing. 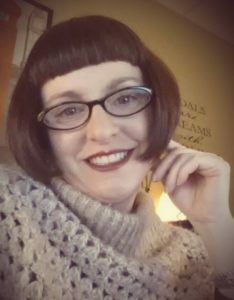 She has a Bachelor’s Degree in Religious Studies,a Bachelor’s Degree in English, and a Master’s Degree in Rehabilitation Counseling all from Michigan State University. Renee is the Communications Director for MARO as well as a forensic researcher for Hostetler Fontaine and Associates. Renee is a Board member of MRA, Tri-County TRIAD, and the BOOM Awards and is very active in our Lansing community.